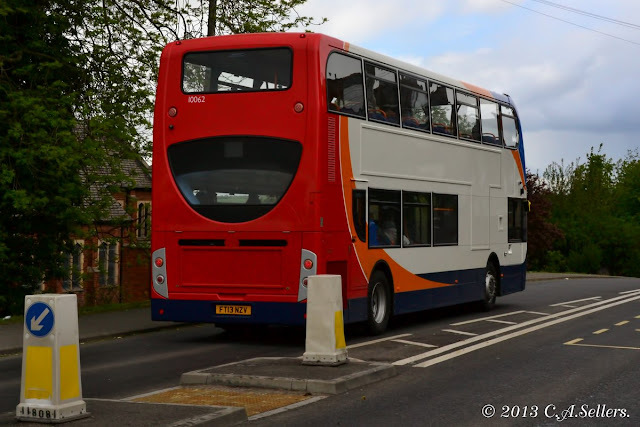 Although rumoured not to going on the road until June, a phone call had me waiting in torrential rain today (23/05/2013) to photograph the 2 E400's reported to be delivered to Worksop depot last week, working the 77. Martin had photographed one of the vehicles on Beetwell Street in Chesterfield. The first four photos show the vehicles on their first runs, the later pics show them carrying correct destinations on their electronic blinds. In the future they will receive branding for route 77. In answer to questions, these vehicles have Cummins Euro 5 diesel engines. ADL Enviro400 10062 FT13 NZV stands at it's Chesterfield terminus on Beetwell Street. 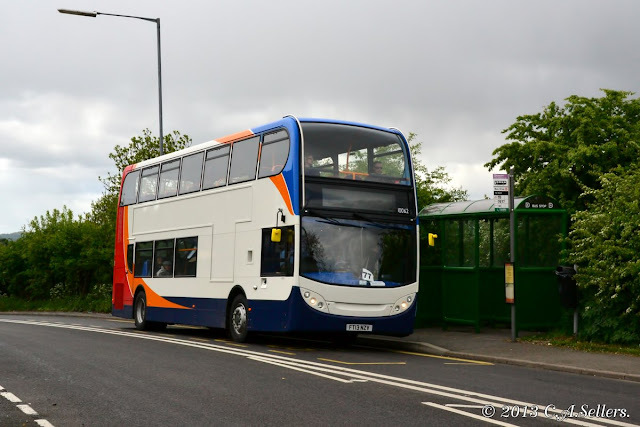 ADL Enviro400 10062 FT13 NZV on route 77 at Staveley. 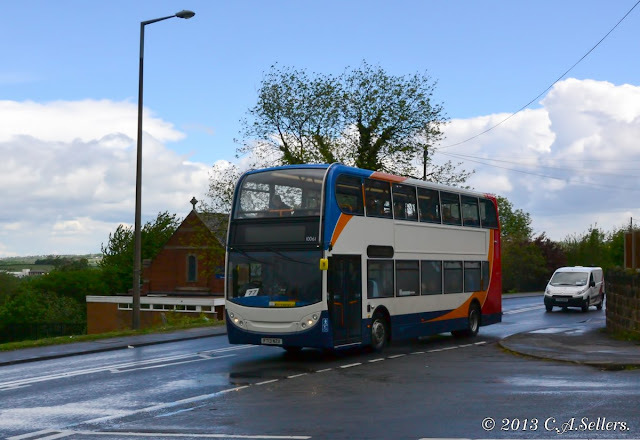 ADL Enviro400 10061 FT13 NZU on route 77 at Staveley. As these vehicles are numbered in the 100xx series does it mean that they are Euro 6?